TaskRing is an easy and useful tool to draw circles. 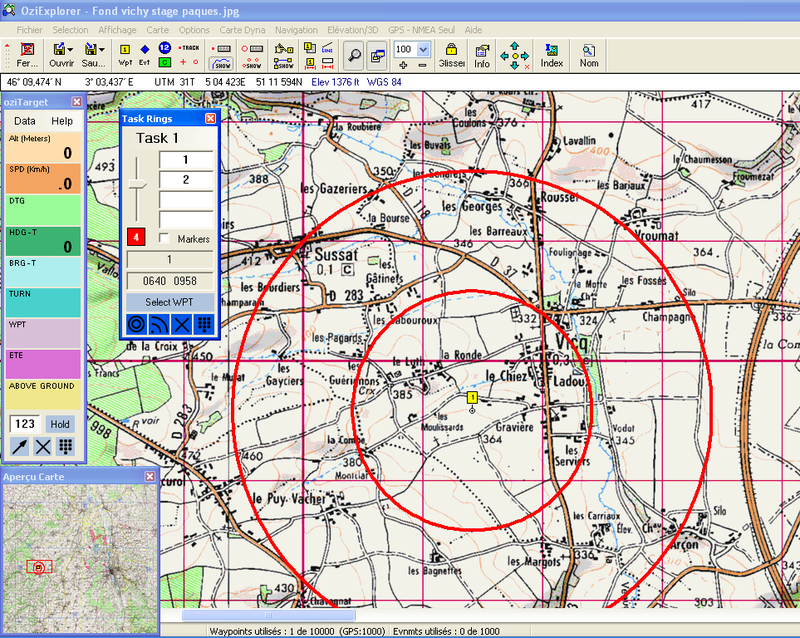 The difference with the radius function of CompeGps (or Oziexplorer), is that it can draws 4 circles at the same time, on the same waypoints ! The problem was here when we wanted to draw a ” Donuts” or a ” 3D pie”. We needed to create as much waypoint close together as circles needed. Finish the nightmare here, we just need to select the waypoint who will be the center of the circles, we set the radius of the circles, and let’s go ! We can also modify quickly and easily the thick of circles thanks to the cursor on the left side. 1 is the thiner, 6 the thicker. 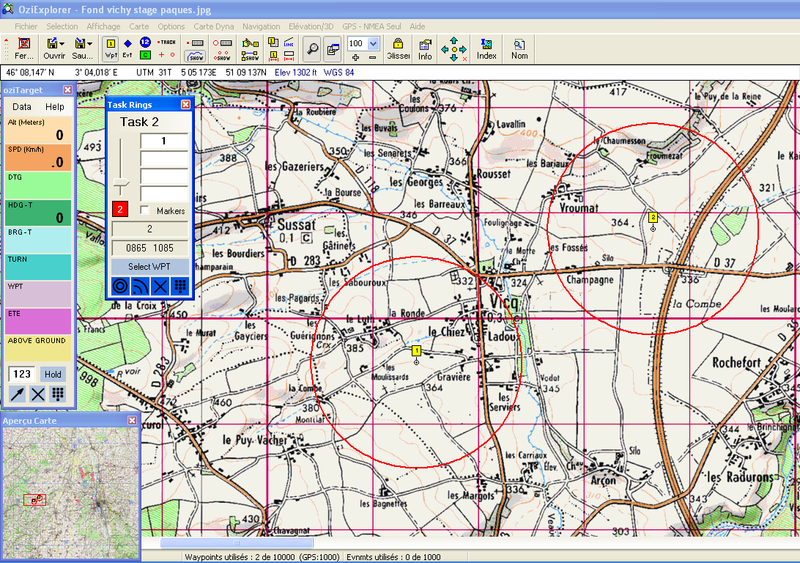 If we need to draw circles on 2 different waypoints, then we just have to select “Task 2” in order to draw circles on a second waypoint. 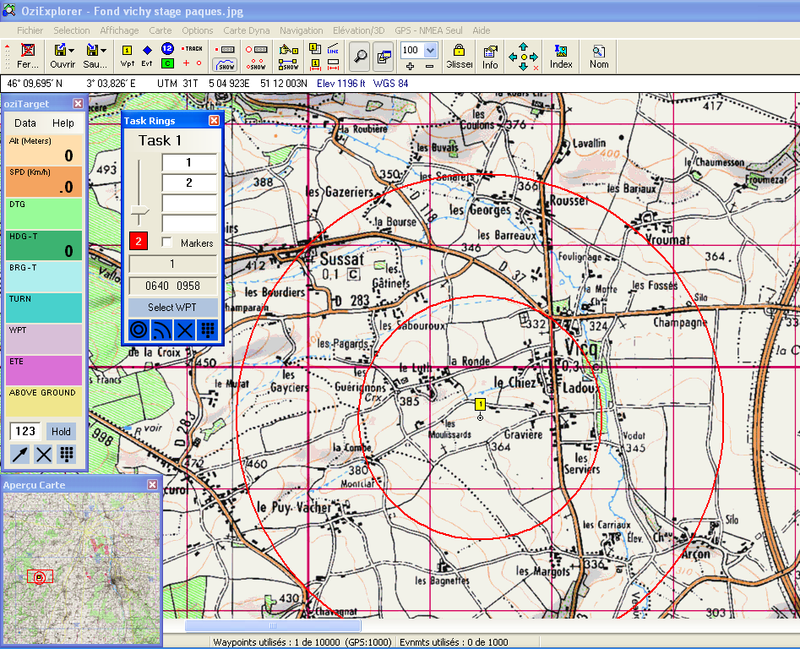 We can draw circles on 8 different waypoints at the same time.